Co-Optimus - News - Dead Rising 2 Pre-Order Avatar Outfits "Delayed Indefinitely"
If you pre-ordered Dead Rising 2 through Amazon.com you may be saddened to find out that the pre-order bonuses for it are missing in action. 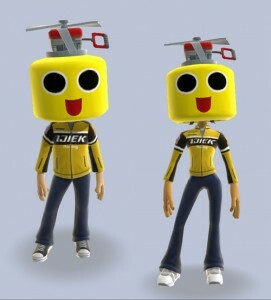 We've just received an email from the retailer telling us the bonuses, pictured above with ServBot Helmets and Chuck motorcycle jackets for your avatar, have been delayed indefinitely. Two weeks prior Amazon gave out $10 in credit because of, at that time, a short delay in receiving the codes. Now it appears your virtual goods will never see the light of day. But all isn't lost - Amazon is making good on its pre-order promise by providing folks with something. This time it comes in the form of a 50% off Coupon on Pre-Orders of another Capcom game - Marvel vs. Capcom 3. It's not a co-op game (that we know of), but that would bring the total value of those pre-order bonuses to $40. That's right, you basically got $40 worth of credit from Amazon for your virtual clothes that never arrived. We’re writing again to let you know the pre-order codes for the Dead Rising 2 Avatar Outfits have been delayed indefinitely. Just visit http://www.amazon.com/ and apply your code during checkout. We hope this helps. We look forward to seeing you again soon.